As part of their ongoing projects and exhibitions, Studio 104, Fine Art Space, Valletta, proudly announce their first ‘Salon’ style exhibition entitled ‘Winter Salon 2014’. The idea behind this exhibition is to invite a relatively large number of artists, and invite them to exhibit one or two works each at a fixed price and no gallery commission on sold works. This supports the artists to sell at their normal studio prices while giving them the opportunity to exhibit in a gallery in Valletta during the festive season. 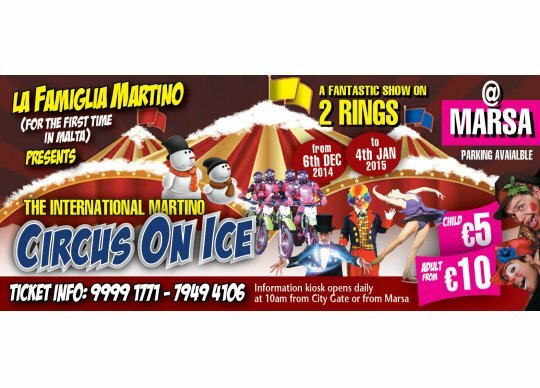 For the first time in Malta, The International Martino presents Circus on Ice, held in Marsa. 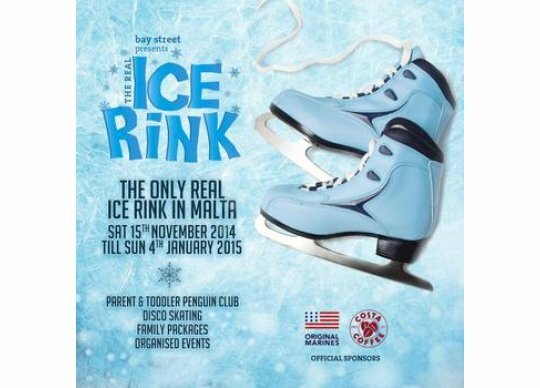 Dazzling ice dancers, trapeze artists, beautiful contortionists, crazy comedy, magicians and bouncing buffoons promise a thrilling breathtaking experience filled with music, colour, incredible costumes and unbelievable acrobatics, leaving the audience sat on the edge of their seats. Information kiosks are open daily at 10am at City Gate or from Marsa. Parking is available as is central heating. 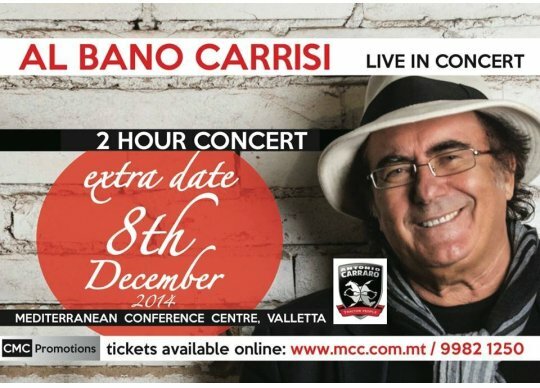 CMC Promotions will be presenting, by general request a second concert by Italy’s popular and much loved Artist, Al Bano Carrisi on the 8th of December 2014, at the Mediterranean Conference Centre, Valletta. The first concert which will be held on 7th December, also at the MCC, is sold out. With much pleasure of the artist himself, another chance will be given to his fans to attend and watch their favorite singer showcasing some of his popular songs, such as Felicita’, Nel Sole, Sharazan, Nostalgia Canaglia, Liberta and many other great successes. All those present will be sharing Al Bano’s talent and humbleness which made him popular and a favorite to many. Tickets for the first concert were sold out in a short time so many lost the chance to attend. Tickets for the second concert are available online from www.mcc.com.mt – Infoline 9982 1250. 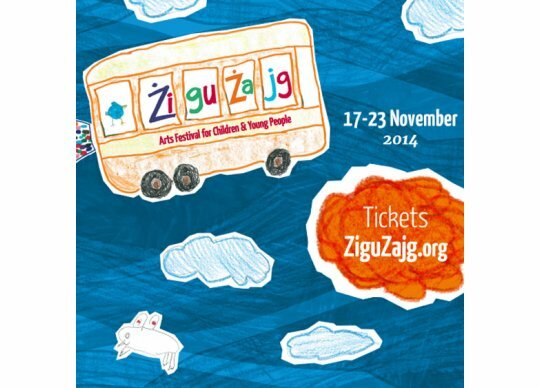 ŻiguŻajg is an annual International Arts Festival for children and young adults, which has as its vision that of positioning the creative arts for children and young people at the core of Malta’s creative ecology. The festival aims to do this by showcasing professional arts specifically designed for children and young people in various disciplines at a high level of excellence. 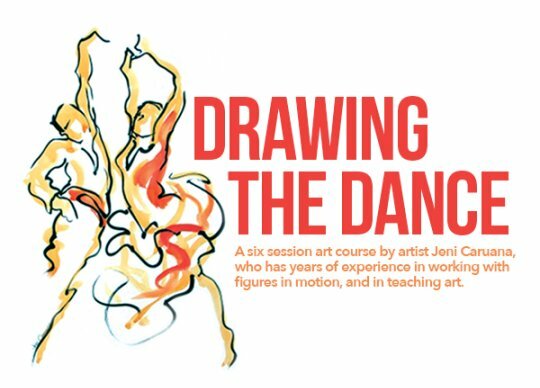 It does this through the development of a national repertoire of works for children and young people and by creating an accessible and inclusive artistic programme which increases cultural participation. 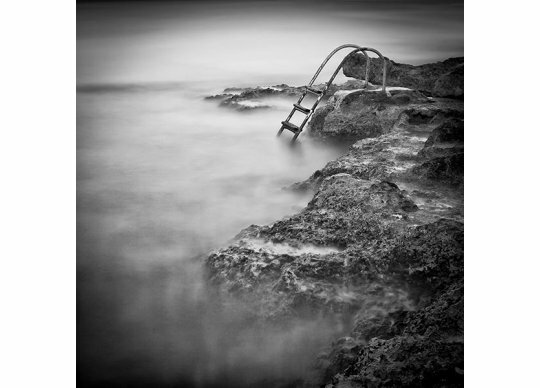 ŻiguŻajg Arts Festival is organised by the St James Cavalier Centre for Creativity, a catalyst for the contemporary art scene in Malta, which aims to become a hub were people of all ages and from all walks of life can join in the enriching act of creativity. Through ŻiguŻajg Arts Festival and other events, the Centre fosters aesthetic and cultural awareness amongst the younger generation. Please contact the ŻiguŻajg team on ziguzajg.admin@sjcav.org for more information. 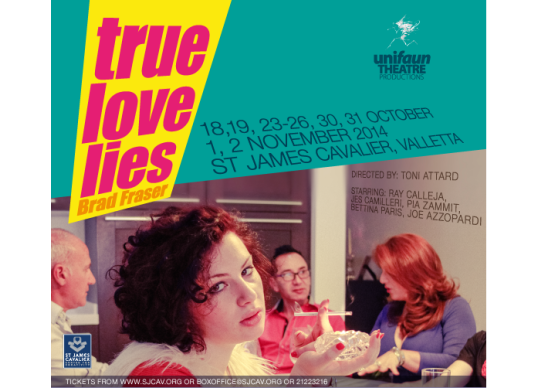 Various performances will be taking place at St James Cavalier, The Manoel Theatre, MITP, Pjazza Teatru Rjal, Auberge de Castille, Pjazza la Valletta and the Phoenicia Hotel Ballroom. 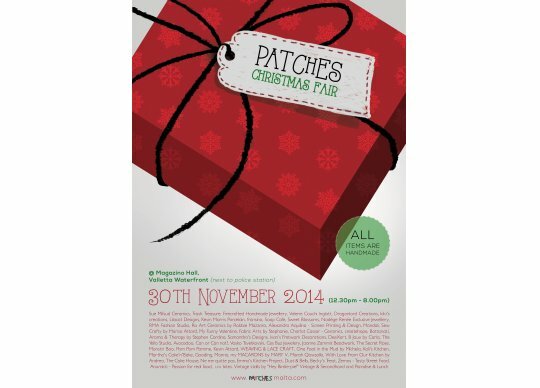 Kindly consult the official programme of events (HERE) for full details.